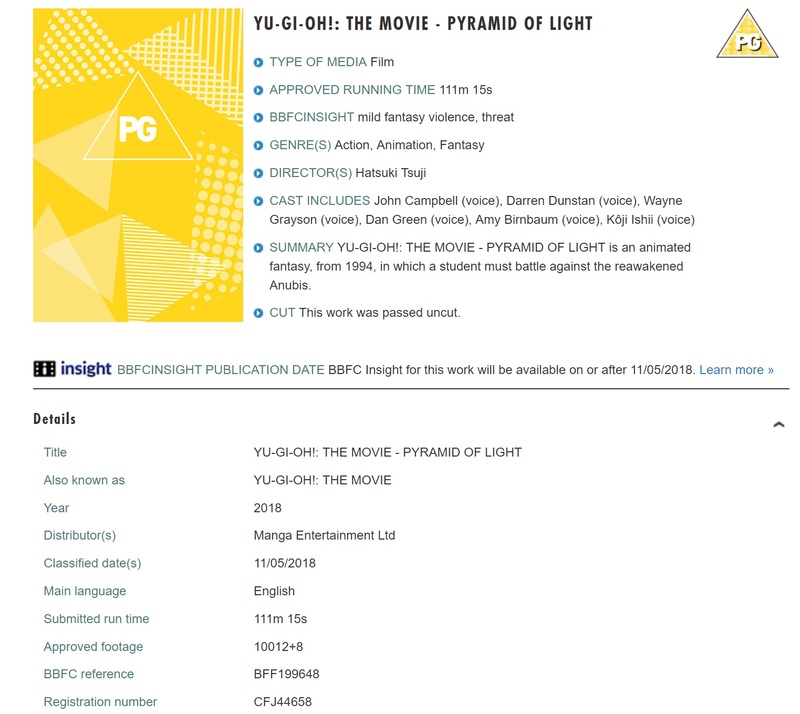 Although not officially announced a new rating on the BBFC (British Board of Film Classification) website has revealed that Yu-Gi-Oh! The Movie, otherwise known as Yu-Gi-Oh! The Movie: Pyramid of Light, will be re-released within the UK via Manga Entertainment UK. Originally Yu-Gi-Oh! The Movie received a wide-cinematic release within the UK before being released onto DVD by Warner Bros Entertainment / Warner Home Video, and since then the film has not really seen any major reprints or re-releases. The film has also been shown numerous times on UK TV, such as ITV and CITV, and a High Definition version of the film was once broadcast on ITV HD during the early hours of the morning several years ago; but alas a Blu-Ray release of the film has never been released. With Manga Entertainment UK licensing and releasing the Yu-Gi-Oh! 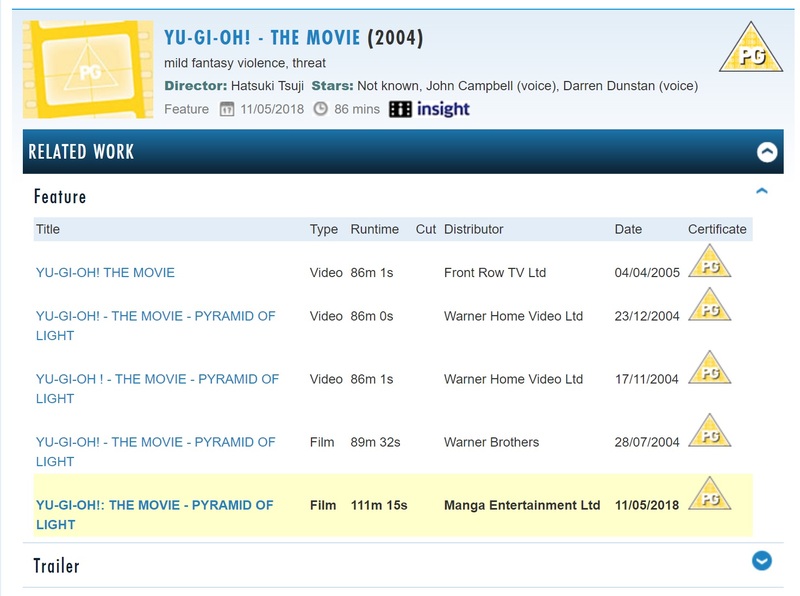 franchise on DVD, such as Yu-Gi-Oh!, Yu-Gi-Oh! 5D’s and Yu-Gi-Oh! Zexal, as well as (where available) on Blu-Ray, such as Yu-Gi-Oh! Bonds Beyond Time & Yu-Gi-Oh! The Darkside of Dimensions, it seems Manga Entertainment UK are once again teaming up with Cinedigm / 4K MEDIA to bring the original feature-length Yu-Gi-Oh! film back to UK audiences. It’s currently unclear if Manga UK plan to release the film on DVD, Blu-Ray or even give the film a cinematic release; but we certainly hope it receives a Blu-Ray release. The BBFC Listing does say “Film” as opposed to video (or feature); so it is possible that this rating is for a UK Cinematic release rather than a home video release; but of course this is just speculation. We expect Manga Entertainment UK to make an official announcement of this release in the coming days; but with the London MCM Comic Con arriving at the end of the month we do expect some surprising announcements to be made. 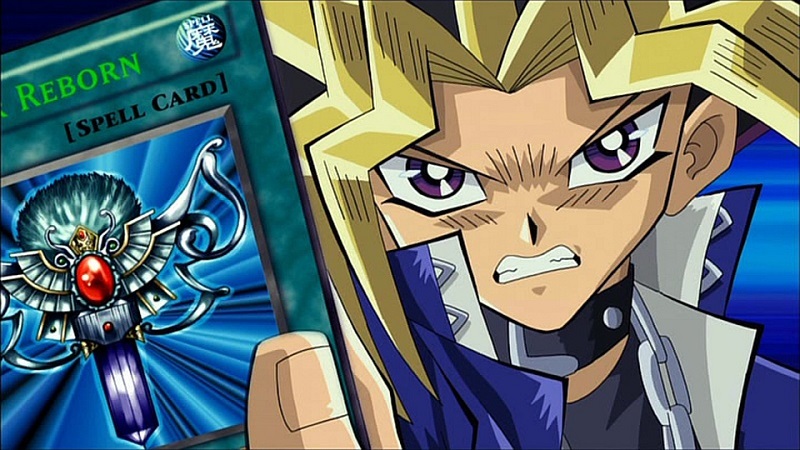 In the meantime you can check-out the original Warner Bros trailer for Yu-Gi-Oh! The Movie below.